Once more [Jesus] asked them, "Who are you looking for?" And again they replied, "Jesus the Nazarene." "I told you that I AM he," Jesus said. "And since I am the one you want, let these others go." He did this to fulfill his own statement: "I did not lose a single one of those you have given me." Imagine being the target of hatred, jealousy, and murderous intent yet still protecting those closest to you. Jesus' protection of his disciples during his arrest, trial, and crucifixion is a great reminder of his love for us. In fact, in the protection of the disciples, we can see our own eternal protection. Jesus was willing to pay the horrible price of the cross to ensure our protection from sin and death. 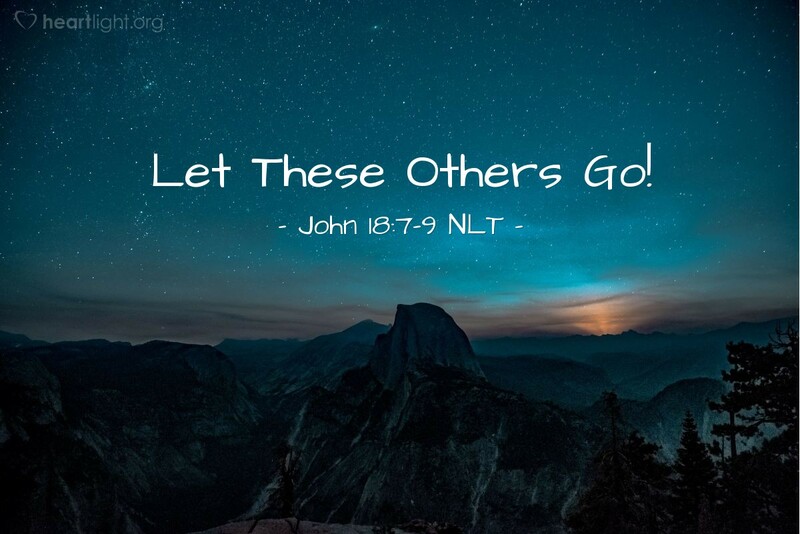 He said to Satan, "Let these others go!" Then he paid the price for our sin so we can be set free! Gracious God, I praise you for Jesus' sacrificial love for his disciples and also for me. My words are inadequate to say how I feel. Jesus, my appreciation for your wounds that protect and heal me is deeper than words. I trust that the Holy Spirit will communicate the emotions that are beyond my ability to express so that you will receive my praise with the depth and the passion with which I offer it to you this day. Amen.